A two-judge bench of the Supreme Court on Tuesday declined the request of amicus curiae senior advocate Shekhar Naphade’s request to reconsider the judgment in Satya Pal Singh vs State of Madhya Pradesh, wherein the Supreme Court held that the ‘victim’ cannot file an appeal against an order of acquittal without the leave of the high court. 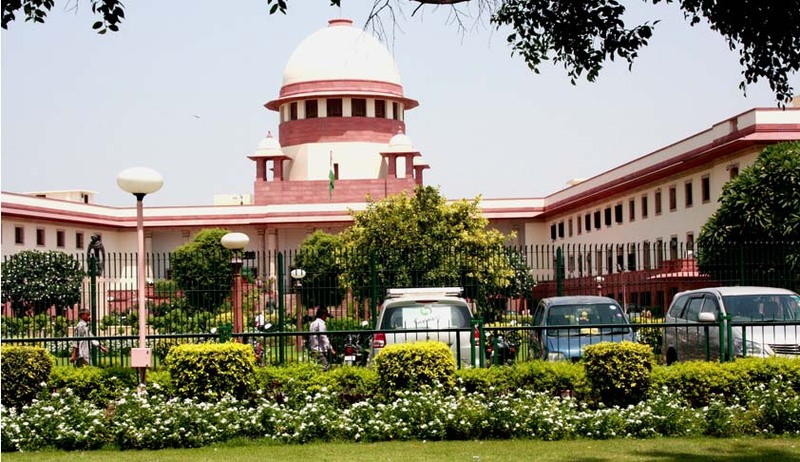 The bench of Justice Adarsh Kumar Goel and Justice Uday Umesh Lalit was considering an appeal filed by an accused, who was acquitted by the Court of Additional Sessions Judge, Khowai, West Tripura, for offences punishable under Sections 342, 376(2)(b) and 506 IPC. The ‘victim’ appealed against the judgment under Section 372 of Code of Criminal Procedure before the Gauhati High Court. When the appeal was listed for admission, an objection was taken by accused that unless “leave” was granted under Section 378(4) of CrPC, the appeal could not be admitted. At this juncture, the victim filed a petition under Section 482 of CrPC for treating said criminal appeal under Section 372 read with Section 378 CrPC. But the high court held there was an unfettered right conferred upon the victim by Section 372 CrPC and that no leave was required for the victim to file such appeal. When the matter came up before the Supreme Court, the court appointed senior advocate Shekhar Naphade as amicus curiae. In the meantime, another division bench of Justice TS Thakur and Justice Gopal Gowda delivered the judgment in Satya Pal Singh vs State of Madhya Pradesh and held that the ‘victim’ cannot file an appeal against an order of acquittal without the leave of the high court. Senior advocate Shekhar Naphade submitted that the matters be referred to a larger bench to reconsider the decision in Satya Pal Singh case. He submitted that proviso to Section 372 CrPC is an independent provision conferring a substantive right on the victim to prefer an appeal against the judgment of acquittal, conviction for lesser offence or inadequate compensation. It was further submitted that appeals under Sections 373, 374, 377, 379 and 380 in Chapter XXIX of the CrPC constitute one category of appeals that can be presented without obtaining leave of the appellate court, while appeals under Section 378, whether by the state government, Central government or by the complainant against the order of acquittal, constitute another category of appeals that are circumscribed by the requirement of obtaining leave of the high court. He also submitted that the appeal under proviso to Section 372 falls in the first category of appeals and as rightly observed by the High Court of Gauhati in the present case, no leave of the high court was required. According to the amicus, the proviso to Section 372 not only deals with filing of appeal by the victim, but it also provides for forum. The forum of such appeals is same as in case of appeals against conviction. “Section 374 shows that some appeals against conviction lie before Session Court. Therefore, some appeals of the victim against acquittal would lie before the Sessions Court. In respect of such appeals, there is no question of obtaining leave. This creates serious anomaly,” he argued. But the bench declined the request and said such a course cannot be adopted in the present matter. The bench said the special leave petition has been pending in this court for the past five years. “In any case, in the present matter, the victim had preferred an application to treat the appeal initially filed under Section 372 to be one under Section 372 read with Section 378 CrPC Though the High Court observed that no such leave was necessary, the matter now assumes different complexion in the light of the decision in Satya Pal Singh. However, since there was already an application on behalf of the victim to treat the appeal under Section 372 read with Section 378 CrPC, in our considered view, the leave ought to be granted, which we presently do,” it said. It directed the high court to consider the pending appeal on merits.